UCLA professor James Liao has devised a potentially revolutionary technique to genetically modify micro-organisms to produce 50% more biofuels while eliminating carbon-dioxide emissions. Currently biofuels are made by letting yeast bacteria feed on corn or other biomass in order to convert the sugar to ethanol. The problem is that this process wastes a third of the carbon in the sugar releasing them into the atmosphere as carbon dioxide. Not only does this waste a third of the energy, its greenhouse gas production offsets much of the value of using biofuels. This limitation has prevented biofuels from being able to compete with gasoline and natural gas. Liao implanted genes taken from various organisms into E. coli bacteria to produce a strain capable of converting biomass efficiently into ethanol. But he believes the same genetic engiineering technique can be used with other organisms, including yeast. To help with these genetically engineered organisms make full use of the carbon in biomass sugar, Liao also had to supply them with extra hydrogen. At the moment natural gas is the cheapest source of free hydrogen though it releases some carbon dioxide. Another cleaner albeit more expensive source would be hydrogen released by using solar energy to split water molecules into hydrogen and oxygen. The next hurdle for Liao would be to show that bacteria can be engineered in large enough quantities to be used in commercial-scale biofuel production. 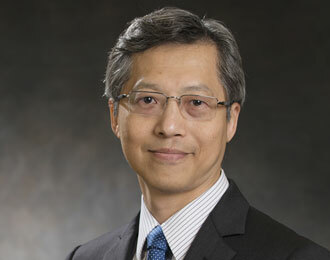 Liao received his PhD from the University of Wisconsin at Madison. He then worked as a research scientist at the Eastman Kodak Company before joining the UCLA engineering department in 1997. For his extensive work in using bio-engineered bacteria to produce fuel more efficiently he was recently inducted into the National Academy of Engineering, an elite honor society with fewer than 70 members. Liao’s work also includes turning exhaust and other greenhouse waste gases into fuel by reacting them with bacteria and sunlight. He has also converted protein into fuel as a potential solution to the problems of obesity. Liao has said his ultimate research goals are to use biochemical methods to replace petroleum processing and to treat metabolic diseases. UCLA bioengineering professor James C. Liao has created bacteria that can convert all of the carbon in biomass sugars to fuel, eliminating carbon dioxide as a by-product of biofuel production.